In the Western Premier League the weather hit first placed APD Dumfries’s title bid on Saturday as their game at home against fourth placed Drumpellier did not start due to rain. With the entire set of Premier fixtures cancelled or abandoned the table stays unchanged for the last league game on Saturday. That day Dumfries play second placed West of Scotland at Benfield Park Nunholm in a match which will decide if the title goes to Dumfries, West or Clydesdale. The side go into the game knowing that victory would mean that they would win one of the top two leagues in Scotland at the first attempt. The match starts at noon. The league’s top wicket taker, former Yorkshire and Scotland seamer, John Blain, will lead a strong West attack at Nunholm. One behind him in wickets, Dumfries’s Scott Beveridge will be aiming to continue his all-round form and top run scorer Aussie Josh Geary plays in his final match. Clydesdale face a Greenock side who must win to possibly avoid relegation. 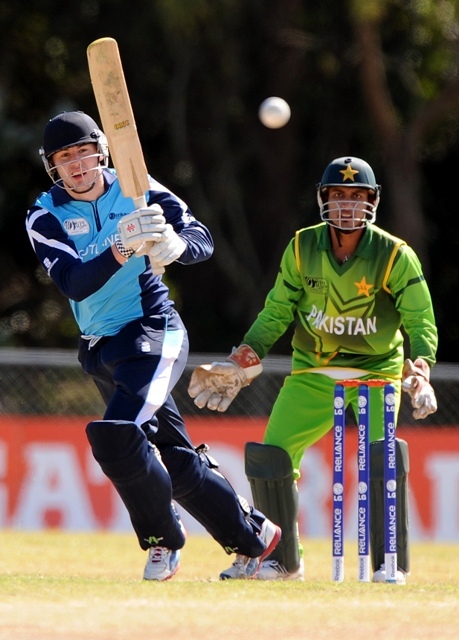 Dumfries’s batting depth was demonstrated last week with their one wicket win at Uddingston and Tom McBride’s return from the U19 World Cup in Australia strengthens the squad. There he had the opportunity to play in matches against Australia, New Zealand and Pakistan. Scotland reached the semi-finals of the Plate competition and finished with a comfortable win over perennial rivals Ireland. The Western Premier Reserve match for CWE Nunholm at Langloan was abandoned, also due to rain, with Langloan interestingly on 25 for 3 chasing a meagre sixty two but on a difficult wicket. 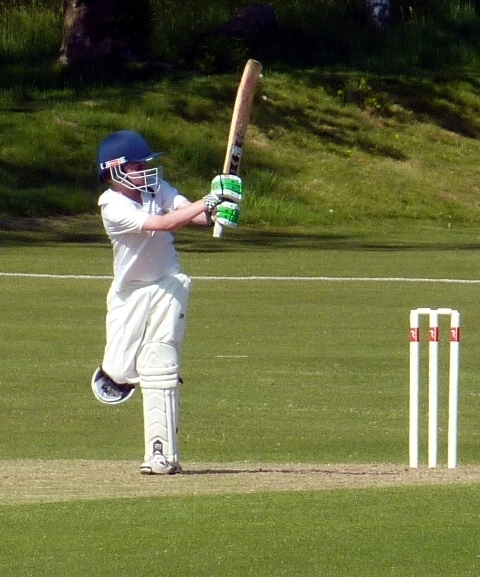 Youngster Chris McBride was the Homer Burgess Dumfries Man of the Day top scoring with twenty three. This weekend CWE Nunholm are at West seconds, Partick, in the West Premier Reserve league and on Sunday the Dumfries Women’s team play in the Women’s Scottish Cup semi-final at Ayr.